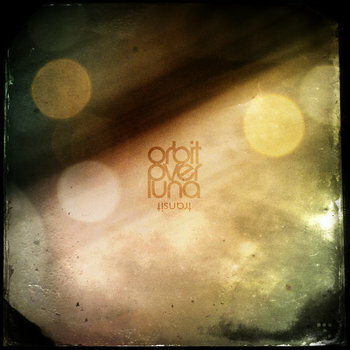 Orbit Over Luna is the ambient/post-rock/organic downtempo music project of Shannon Penner, a multi-instrumentalist, composer, sound designer and animator in Toronto, Ontario. OOL has released a number of EPs and singles which feature an appealing, atmospheric sound and that are somewhat unique in the genre for prominently integrating Asian influences. On July 25, he released his first full-length album called ‘transit’, which turns out to be a beautifully crafted and virtually flawless initial foray into pure ambient territory, a real gem. The entire album is laid on a pure, minimalist ambient foundation and is delicately embellished with the selective addition of other sounds such as looped guitars, subtle percussion, and piano. There is a serene energy to every piece and the album feels balanced throughout, never becoming dull or languid. We have seven tracks, each with an eloquent and evocative title perfectly suited to the soundscape it represents: ‘the breathing of roots’, ‘saturnine’, ‘chambers of the sea’, ‘sungazing’, ‘Ylla’, ‘un jardin des cieux’, and ‘in the decay of shadow’, and each one unfolds patiently like the resplendent and unhurried blooming of a flower. Those of you who follow Orbit Over Luna on social media may recall when Shannon announced that he was “stepping back” from OOL, so it was really a double surprise when a full length album came out soon after and simultaneously forged a new musical direction. So, what sent Shannon down this new creative path and led to such a complete album coming out so soon after his short hiatus? I had an opportunity to ask him just that and here is what he had to say. Understanding this background only deepens appreciation of the album. Even the title, ‘transit’, echoes the creative modus operandi of the album as it can be seen to refer to passing over or through the difficult period that Shannon describes. Whether he continues this direction or returns to more structured pieces remains to be seen. But it is sufficiently clear at this point that his artistic drive will push him to continue to create and whatever is next will be something to look forward to. It is also worth noting that Shannon has also created a separate graphic for each one of the tracks with imagery and subtle cues appropriate to the mood and theme. This is something that you will particularly notice if you play the digital version in a media player such as WMP or iTunes, just further evidence of the thoughtfulness and creative focus that went into creating the album. If you enjoy serene, pure ambient music this album is highly recommended. And if you are already familiar with Orbit Over Luna, you will appreciate the beauty and depth this adds to his growing body of work. Featured here is track number 3, ‘chambers of the sea’.